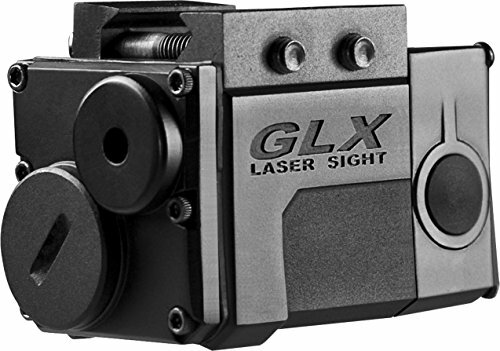 Red Micro GLX Laser Sight is ideal for compact and sub-compact pistols with virtually no overhang. The ambidextrous tap on/off button will not snag on anything when holstered or carried in bag. The built-in weaver standard compact mount with a stabilizing cross bar makes this laser capable of attaching to almost any firearm. Only 2 inches in length, this laser is lightweight and durable. Despite its small size, the Micro GLX delivers the strength and durability needed to withstand the shock of rapid-fire recoil. The micro GLX laser is truly on the cutting edge of design and function and comes included with 1 CR-2 lithium battery.